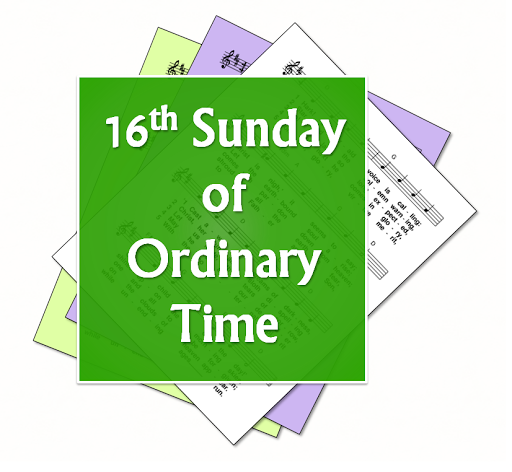 A selection of free-to-use (ie public domain or copyright-free) hymns and song suggestions, based on themes from the Roman Catholic lectionary for the sixteenth Sunday of Ordinary Time, Year A. 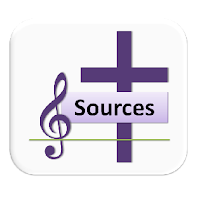 Some hymns that are still copyright may also be included, if they are particularly relevant. Second: Romans 8- ...we do not know how to pray as we ought, but that very Spirit intercedes with sighs too deep for words. And God, who searches the heart, knows what is the mind of the Spirit, because the Spirit intercedes for the saints according to the will of God. Gospel: Matthew 13- The parable of the weeds / tares / darnel in the wheat, and the parable of the mustard seed, and the parable of the yeast and leavened bread. Jesus preached in parables to fulfill scripture - and he explained them: ... “the righteous will shine like the sun in the kingdom of their Father. Let anyone with ears listen!". 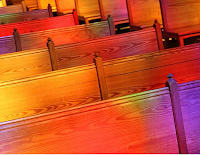 God as a compassionate and merciful judge. Our assurance of forgiveness because God sent his Son. How about "Seed Scattered and Sown" by Dan Feiten?